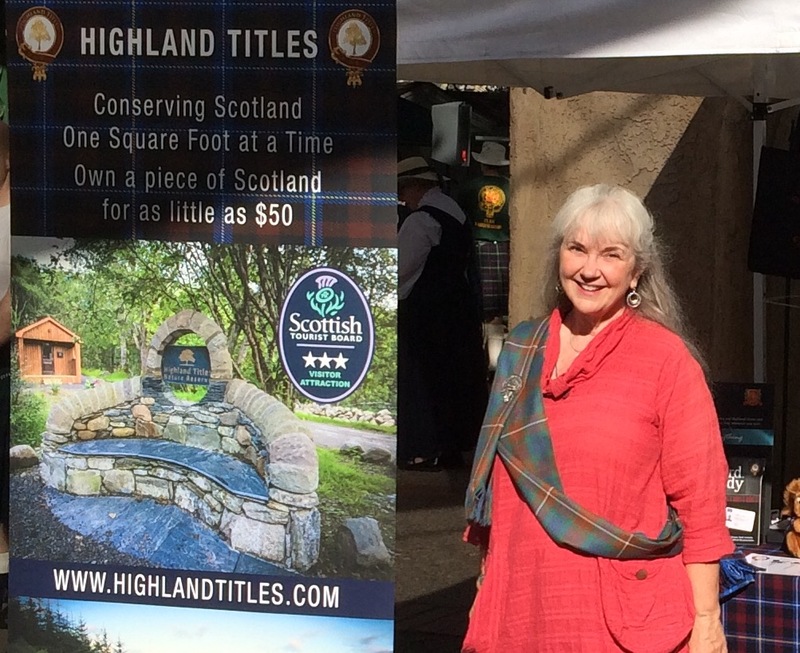 I spent this past weekend working at the Highland Titles booth at the Scottish Highland Gathering and Games in Pleasanton (California). I first heard about Highland Titles a few years ago when I stopped by the Highland Titles booth and had a nice chat with Stephen Rossiter. 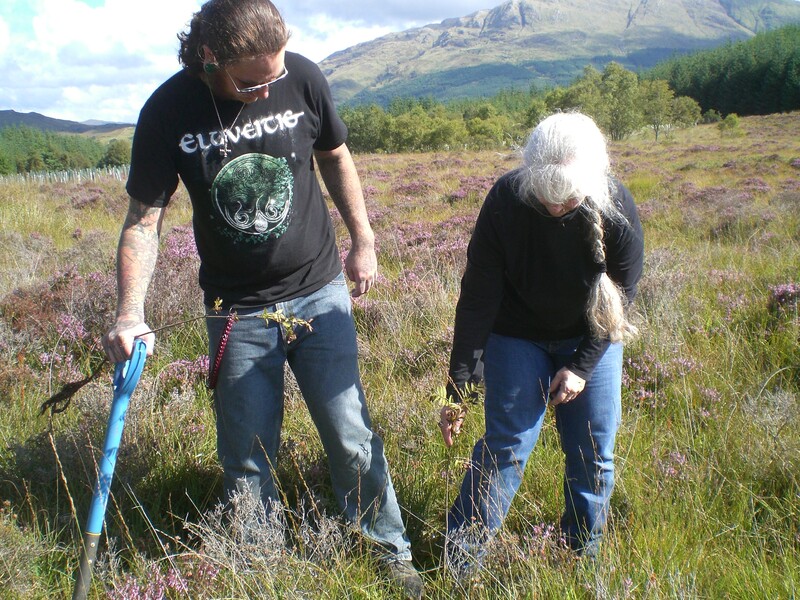 We talked about the conservation effort being undertaken by Highland Titles, and I was happy to learn about it. As a supporter of a land trust in Northern California, I was interested in what similar projects were being done in other countries, especially Scotland. At that time, what intrigued me was that by purchasing a one-square foot plot of land, becoming a landowner in Scotland, one could thereby have a courtesy title in front of one’s name. My son’s 25th birthday was coming up and I thought that this would make a great present for him. It was a win-win-win: the land got protected, I got to own a very small piece of Scotland, and it was a fun gift. Naturally, there wasn’t any way that I was going to do this for my son without doing it for myself as well, so I bought two one square foot plots, side by side. My son was as delighted as I was. The thought never crossed my mind, and I doubt that it did his either, that the titles we chose (Laird for him; Lady for me) had any other significance than a fun thing to say we were. I have read many of the online discussions about the Titles, and I am amazed that anyone would even consider for a moment that they are anything other than a lighthearted gesture. I have never considered myself an “officially Titled” person any more than I considered myself the owner of the whale or the star that I “bought” along with a few thousand other people. The difference is that the land I own in Glencoe Wood is indeed mine, and no one else will ever own it; and unlike the whale I can’t touch and the star I can barely see, I can go stand on my land and enjoy the view of the Highlands. I like the tag line, “Conserving Scotland one square foot at a time”. 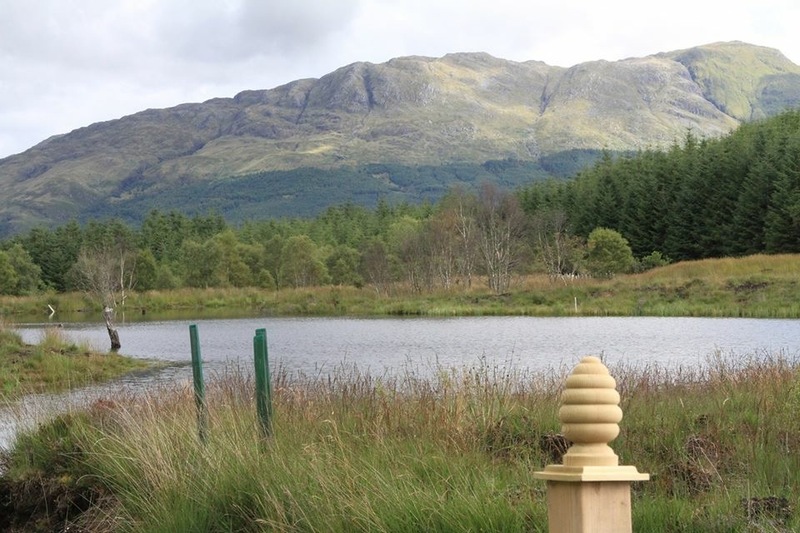 Highland Titles is less about selling Titles and more about refining the conservation aspect of the reserve. Of course there are conservation efforts in the US, especially in Northern California where I live, and I support those; but there is something almost nostalgic about helping to conserve an area of land in the country where my family history lies. My fascination for Scotland began with my grandfather telling me the stories his father had told him of his life before coming to America. I think of my great-grandfather, a stone mason and a crofter in Aberdeenshire, and how connected he must have felt to the lands that he worked. I wonder how it must have felt for him to have to leave in the late 1800’s, even though he found success as the owner of a stone quarry in Vermont; I know that his heart was forever in Scotland. I believe that when we live in connection to the land, even when we leave that particular place, the connection lives on—not just in the individual, but in the land itself. I guess that’s where poets, writers and Scottish tourist boards get the inspiration to talk about the ancestral ghosts that dwell across the lands. For me, there is a strong pull to conserve a part Scotland because of the familial ghosts that still dwell there. This entry was posted in Ancestry, Eco-travel, Ecology, Land trust, Scotland, Scottish ancestry, Travel, Uncategorized and tagged Highland Titles Nature Reserve. Bookmark the permalink.